The impact of choosing a car color decides the buyer’s moods, risk-taking ability and preference. Apart from that, a car color decides the accident rates on roads apart from deciding the heat-absorbent factor of the car. A buyer must settle in for the right color after ample research and studying trends. People in tropical countries should refrain from buying cars. 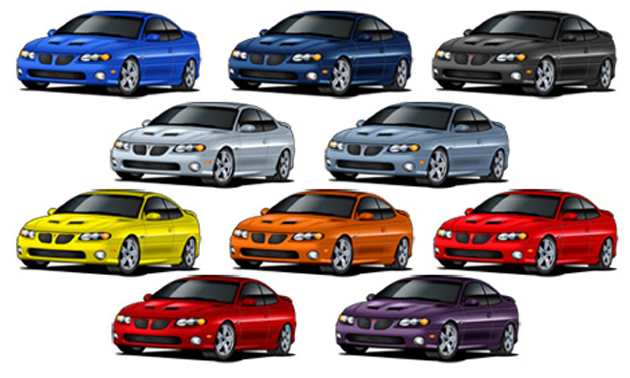 Choosing the right color for your car has been the most troubled question buyers face. Is there anything known as the safest color for car? According to researches, the color of a car is a major decidability factor in road accidents and car crashes. The theory of the optics has categorized people and their moods with the color they choose. For example, blue is often found out to be chosen by people who are relaxed and stress-free while red is chosen by people who are fatigued and have higher levels of stress. Interestingly enough, the color red used in firefighting equipment, cars and ambulances is the least visible sign to the naked eye. Yellow, white and bright green are the colors that are prominent on roads. Apart from that the impact of choosing an appropriate color also decides the absorbing quality of the vehicle. You must have noticed that a black-bodied car takes more time to cool down if parked under scorching heat and the air conditioner takes more time to cool the interiors. There is a science behind it. White cars are allegedly 10-12 degrees cooler than black cars. And cooler cars put less pressure on the engine and get affected by lesser greenhouse emits. The color theory says that dark colors absorb heat faster and this is also seen during the night. In countries, where the nights are equally hot, especially in and around the tropical belt, the heat absorbing quality of a dark color remains in process despite the visible absence of the sun. The car steering is unbearably hot? Now you know why. Investing in yellow and white cars is the best way to save oneself from soaring temperatures within cars. Another impact of a car color is also dependent on the quality of the interiors used for seats and the colors chosen for the same. If the details and varieties of option available in the market baffle you, follow the guiding principle- opt out of black. Any car left out in the heat becomes a solar heat accumulator that feeds into and draws different solar and heat properties which can cause irreparable damage to the engine. This can lead to people choosing neutral hues such as silver grey, brown and orange. No doubt black looks luxurious and sparkling but white has been the unrivalled bestseller ever since. Finding the right color in the car color palette is all about determining the sense and sensibility of the car buyer. Be it about choosing a crazy color or settling for the safest bet, there are some perennial favorites that will never go out of fashion. The trend goes something like this: small cars are most experimental with unconventional color schemes that buyers opt for. Luxury cars have safer options of black, grey and white.